Coronary angiography is the definitive “gold standard” clinical technique for evaluating coronary anatomy and bypass grafts in many patients. The laboratory and catheters provide a platform for coronary intervention and revascularization. In this lesson, we will use three dimensional presentations of coronary anatomy to learn the most commonly used views for coronary angiography, ventriculography, and aortography. Dr. Gimple is an attending cardiologist at the University of Virginia Health System with a sub-specialty in interventional cardiology. 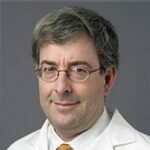 Learn More about Lawrence W Gimple, MD.